I've hiked Dragon's Back, aka Hong Kong Trail stage 8, a few times and it never gets old. This time was my favorite though because it was a family affair. It's been so fun having middleC and littleC in Hong Kong hiking with us. I think I'm going to feel a bit lost when they leave. Super windy on the top! 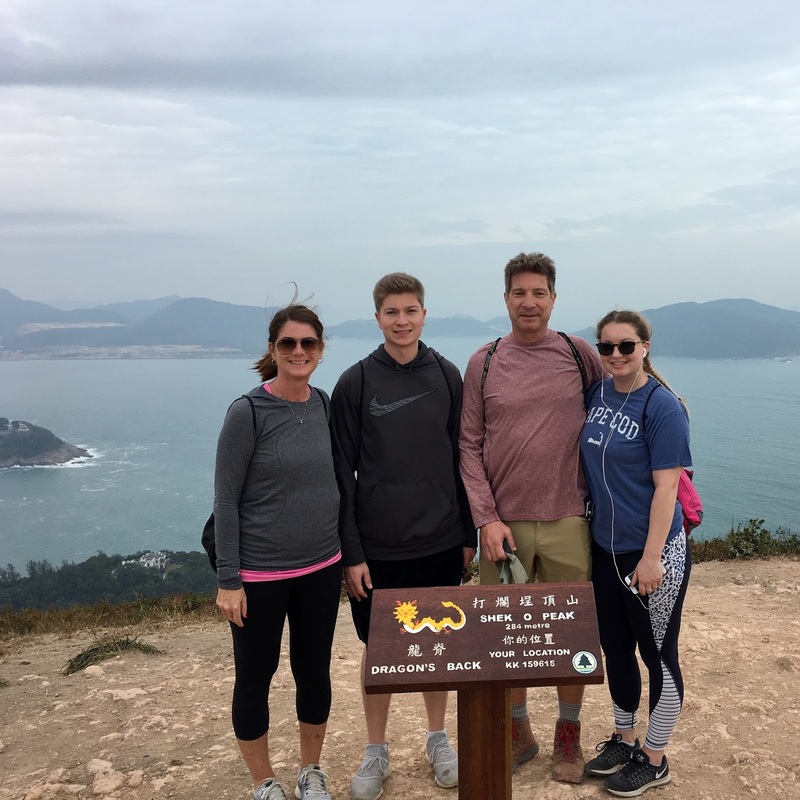 Since they have been enjoying the hiking (see previous hikes here and here), we wanted to make sure that they did the most popular hike in Hong Kong. This was my first time acting as hike leader on a big hike. All the other times I tagged along and followed the group. With the kids in town, my knowledge of Hong Kong has really been put to the test and I'm happy to say that I'm doing pretty good so far. We took the ferry from Discovery Bay ( on Lantau Island where we live) to Central (on Hong Kong Island) ---> took the MTR to Shau Kei Wan ---> caught bus #9 toward Shek O to the To Tei Wan stop. Once we hit the trail head, all we had to do was follow the signs. This meant I had a break from leading until lunch at the end. 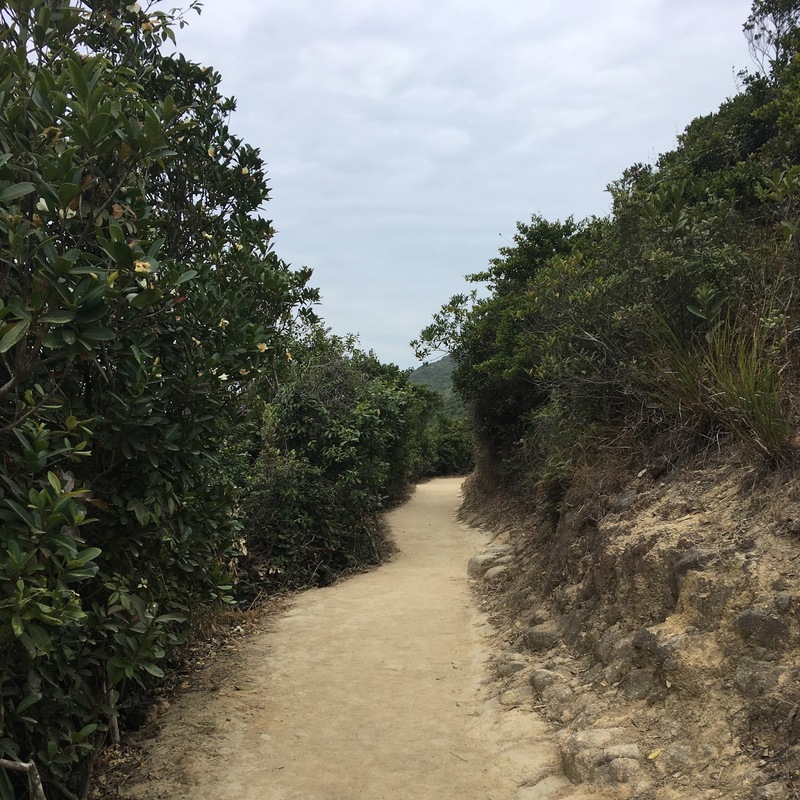 This hike was the perfect choice to increase both length and difficulty for our visiting hikers. It has the great views of the trails rated difficult, but with a much more moderate climb. 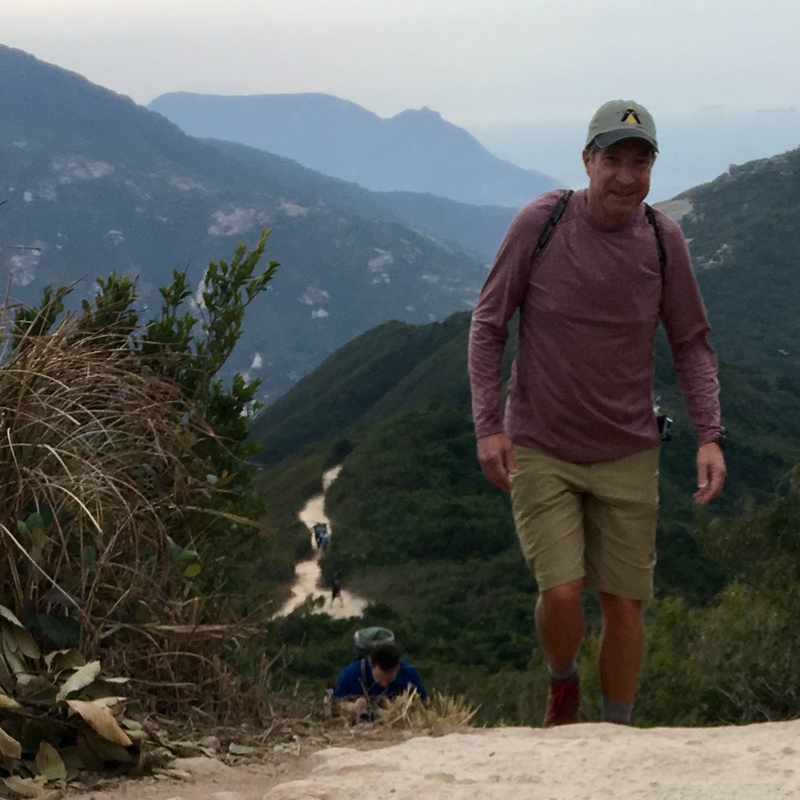 A lot of the hike was on dirt trail which was kind on the legs and feet. Reaching the 284 meter peak was semi-quick. 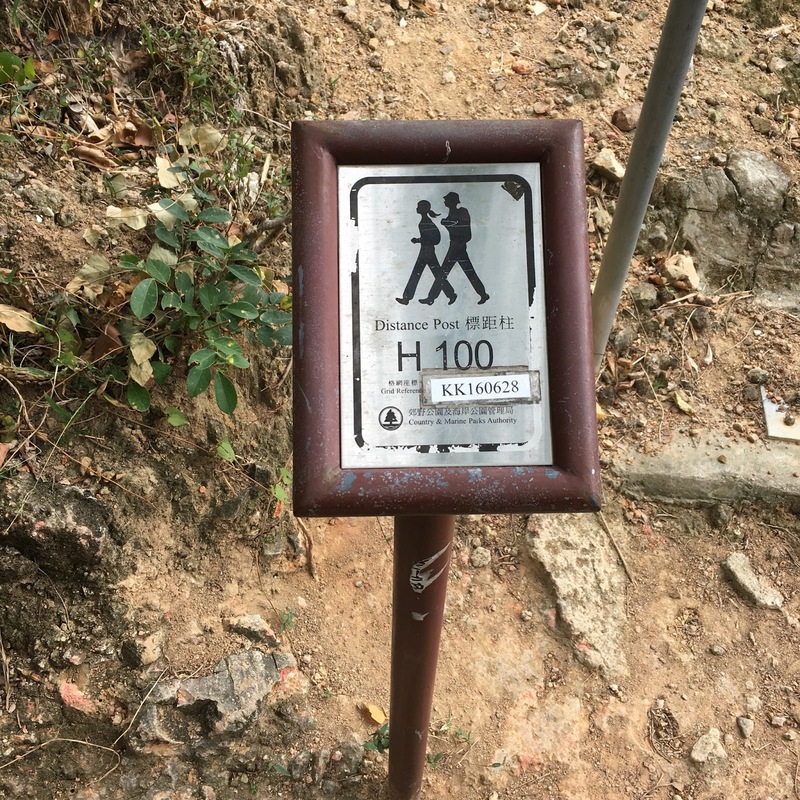 We did climb a section of pretty steep steps, but with a few breaks they were quite manageable. 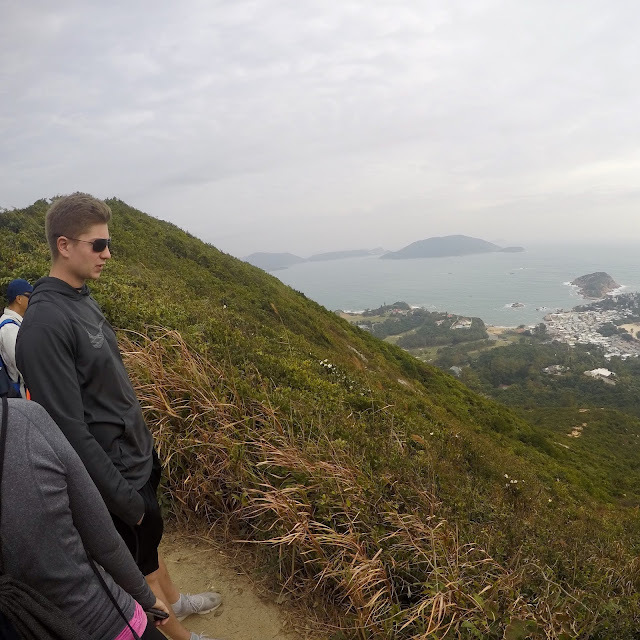 And after every section of climbing, we were greeted with amazing views over the Shek O Bay area. These were great spots to take a rest ---> and lots of people had the same idea. The trail was very crowded the day we hiked. 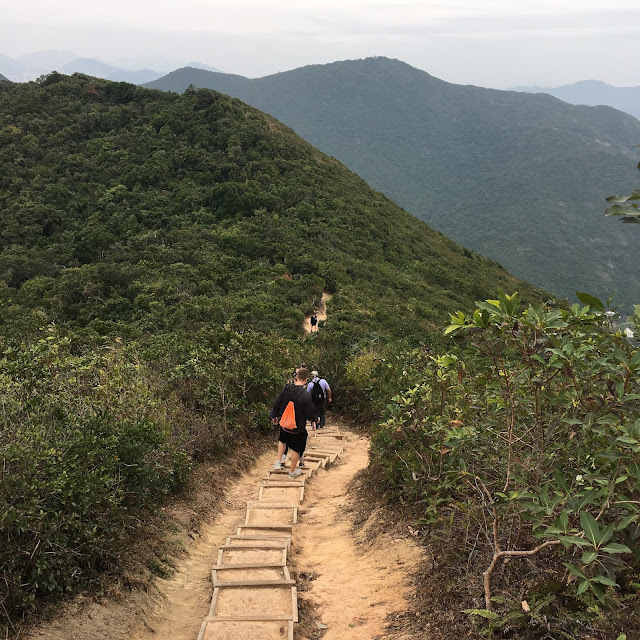 After reaching Shek O Peak, the undulating ridge top that is the trail's namesake begins. Steps have been built in to make the descents as easy as possible. It felt really good to make it to the end of the trail. This hike was about 8km long and took us just over 2.25 hours to get to Big Wave Bay. 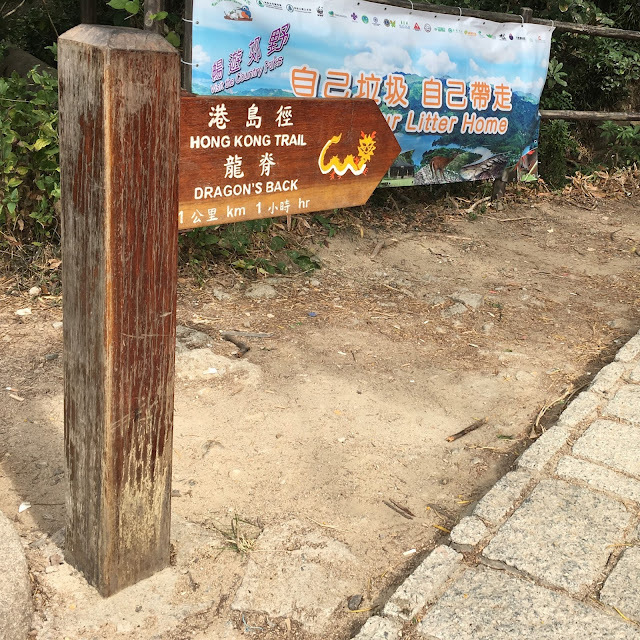 The Hong Kong Enjoy Hiking website, rates Dragon's Back as very difficult, but we think that is a bit harsh. Using their own grading reference system, we think it should be labeled moderate. It's definitely a great choice for people who are ready to take on a little more challenging hike. 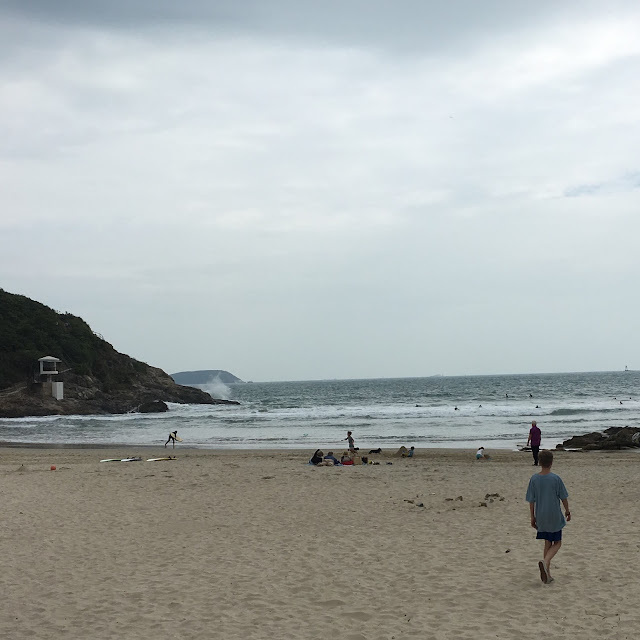 We checked out the beach at Big Wave Bay and used the convenient facilities there before hopping on the bus to Shek O for lunch. What activity does your family like to do together? 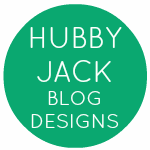 I'm linking up with Deb for the Wednesday Word - CHOICE! It sounds like picking that trail was a great "choice" and that you and your family had a great time.